For Alexander Graham Bell, his vacation home at Baddeck, Cape Breton is his retreat and inspiration for his many ideas. 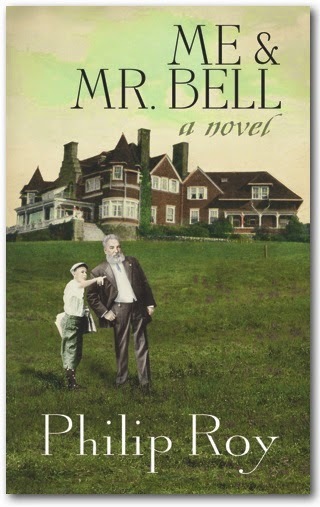 For the residents of Baddeck in 1908, Bell is the smartest man in the world and worthy of their awe and respect for his privacy and that of his family. Not surprising that everyone regularly shows up to welcome the family when they return and to witness any demonstrations the great man chooses to share publicly. Sadly, ten-year-old Eddie MacDonald who still cannot read or write bungles a message about the Bells’ return time and angers his father so much that the man deems Eddie only good enough to be a farmer and nothing else. Chastened, Eddie accepts himself as the “learning cripple” his family and teacher believe him to be, even introducing himself as “Nobody” when he accidentally meets the famous Alexander Graham Bell. Though no one believes that the boy has met the great man, Eddie begins to see Bell more regularly, even being invited to Bell’s home, meeting Helen Keller, and receiving mail from the man when away. With a few revelations and much determination, Eddie learns to see himself and others in a new light, courtesy of his friendship with the elusive inventor. In a straightforward but rich story, author Philip Roy intertwines the lives of a brilliant innovator with an unassuming boy, emphasizing their common bonds and the opportunities that can be lost when judgements override all else. For teachers who are always looking for great historical fiction, especially for the middle grades, I would enthusiastically recommend Me & Mr. Bell. By integrating information about a great scientist and Helen Keller (there's biographic tie-ins here) with the history of flight (another curriculum topic), simple machines and innovation, the geography of Nova Scotia, and character education (determination, perseverance and imagination), Me & Mr. Bell has it all, and at an appropriate reading level. And it's youngCanLit which we should be supporting in all our book choices. Perfect package for everyone!